Designed with the aspiring artist in mind, the Livi Binder gives you space to go beyond black and blue ink. Beneath the soft nappa leather exterior and gold-toned hardware, you’ll find a large gusseted side pocket that’s perfectly sized for a box of colored pencils or a drawing pad. 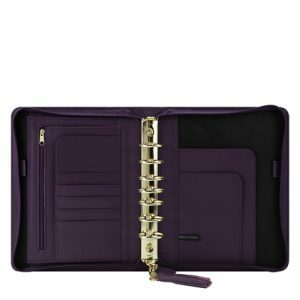 The Livi also includes everything you’ve come to expect in a FranklinCovey binder: two pen loops, a flat exterior pocket, card slots, a gusseted zipper pocket, and secretarial pockets. 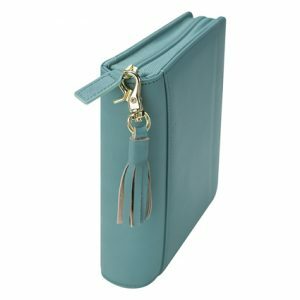 And to top it off, this artistic binder includes a stylish and removable leather tassel on its zipper closure. 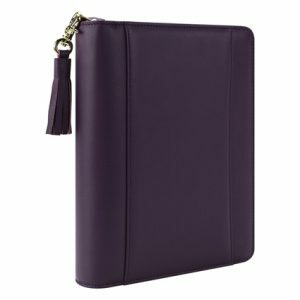 The Livi Binder comes in Classic and Compact sizes. Choose from Eggplant or Mineral Blue. Previous PostPrevious Why Write a Personal Mission Statement?